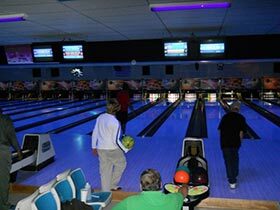 Come bowl with us when you are thinking about what to do for fun, relaxation and entertainment - that won't cost you an arm and a leg... Pla Mor Lanes is the one destination most people consider! With 24 lanes of bowling, Pla Mor is a non-smoking facility! And how about watching your big time sporting events on television while you are bowling? Yep! That's right - and we cater to families! Our programs for youth are absolutely awesome... but don't stop reading here - we have one of the premier senior bowling programs in this state!!! So, you could truly say you can play with us from ages 2 to 92!!! Plan your next outing with Pla Mor and you won't be disappointed! Call us today! 704-873-4383! Stay Tuned - Call us and let us find the best deal for you and your group! Pla Mor Lanes is the perfect place to plan your next party! 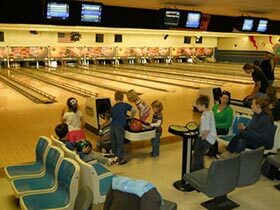 Kids and adults will love our bowling parties. You bring the guests, we'll supply the fun! Have your next group party with us! We offer awesome group outings for scout groups, churches, schools, and even businesses! Contact Chuck today at 704-213-0962 to book your next group outing! Ask us how you can add food and drink to your outing to complete your event!